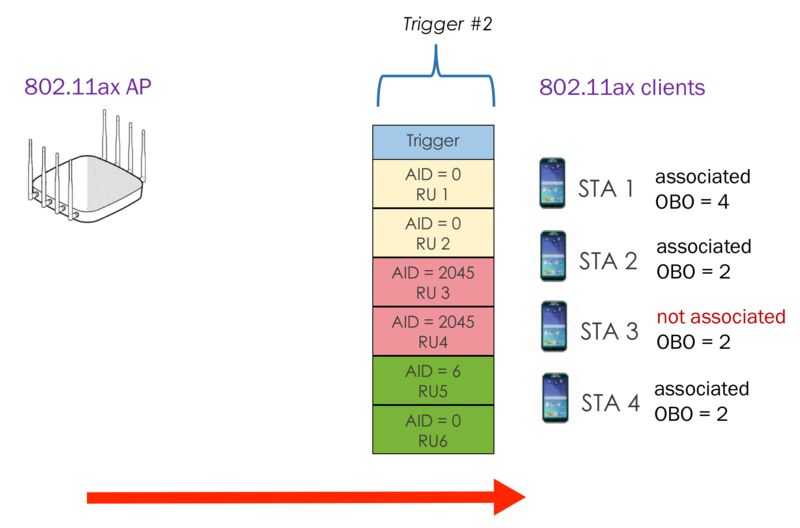 In our last Wi-Fi 6 blog, we discussed a method in which clients can allocate resource units for uplink transmissions instead of the AP making the decision 802.11ax provides for an optional UL-OFDMA random access (UORA) method. 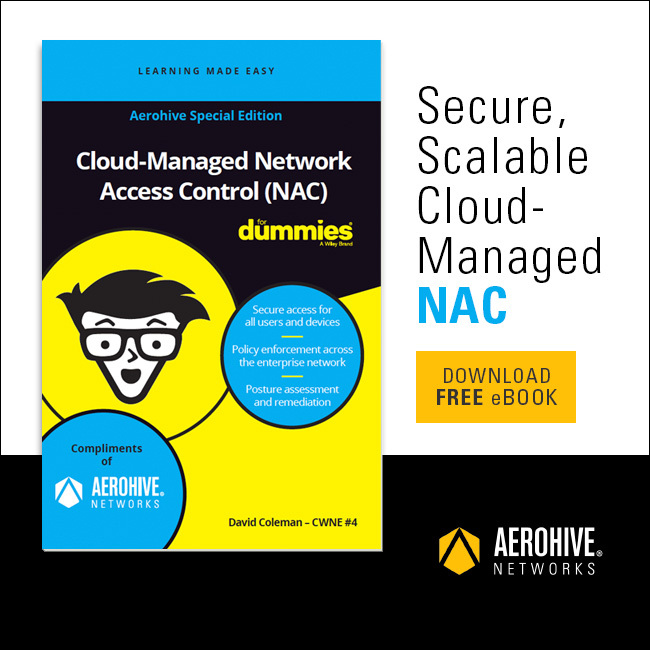 A random-access method is favorable in conditions where the AP is unaware of traffic buffered on the clients. The following is an example of this process. The AP sends a random-access trigger frame to allocate RUs for random access. Clients randomly select a number from the OFDMA contention window (OCW) and then each client’s OFDMA Back-off (OBO) counter begins to decrement. In the example shown in Figure 1, STA-1 selects an OBO counter value of 3. STAs 2-4 select values of 5, 4 and 2 respectively. STA-1 and STA-2, both associated with the AP and have pending frames for the AP, decrement their respective OBO counters by the number of eligible Random Access-RUs indicated in the Trigger (i.e., three RA-RUs with AID12 subfield equal to 0). 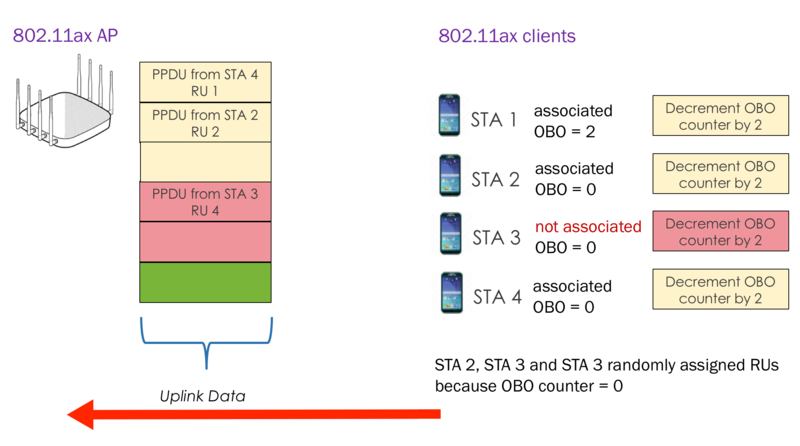 As depicted in Figure 2, because STA-1’s OBO counter decrements to 0, it transmits its pending frames on RU2 which it randomly selects from the eligible set of RUs (i.e., RU1, RU2, and RU3). Since STA 2’s OBO counter decrements to a nonzero value, it maintains the new OBO value (2) until it receives a later Trigger frame carrying RA-RUs for associated STAs. STA-3, which is not associated with the AP but has a pending frame for the AP, decrements its OBO counter by the number of eligible RA-RUs indicated in the Trigger frame (i.e., two RA- RUs with AID12 subfield equal to 2045). Since STA 3’s OBO counter decrements to a nonzero value, it maintains the new OBO value (2) until it receives a later Trigger frame carrying RA- RUs for unassociated STAs. 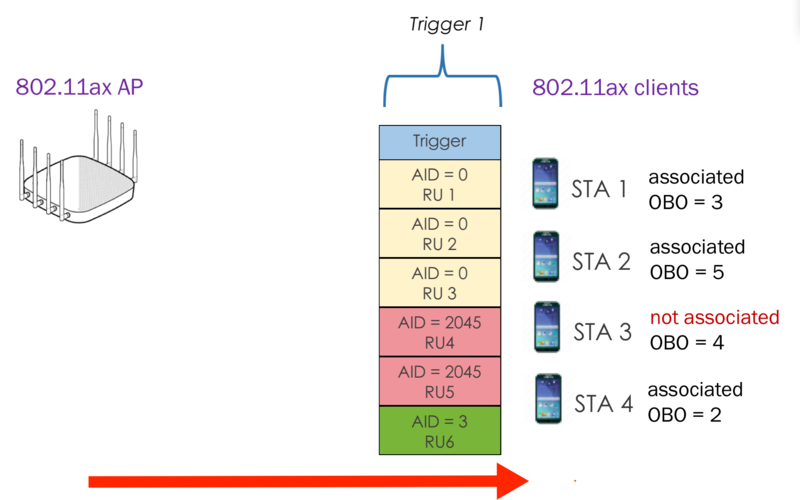 STA-4, which is associated with the AP and has pending frames for the AP, is allocated a dedicated RU (RU6). The STA does not contend for RA-RUs and instead transmits its pending frames on RU6. As shown in Figure 3, after transmission of the second trigger frame, STA-4 has additional frames pending for the AP. Therefore, it maintains its initial OBO value (2) until it receives a later Trigger frame carrying RA-RUs for associated STAs. STA-1 has additional frames pending for the AP and randomly selects a new OBO value (4). As depicted in Figure 4, upon receiving the second trigger frame, STA-1, STA-2, and STA-4 decrement their respective OBO counters by number of eligible RA-RUs (two in this case). Since STA-2 and STA-4’s OBO counters decrements to 0, they both transmit their pending frames on a randomly selected RU (RU2 in case of STA 2 and RU1 in case of STA 4). If either STAs have additional frames pending for the AP, each would randomly elect a new OBO value. Since STA-1’s OBO decrements to a nonzero value, it maintains the new OBO value (2) until it receives a later Trigger frame carrying RA-RUs for associated STAs. STA-3 decrements its OBO counter by the number of eligible RA-RUs (two in this case). Since the STA’s OBO counter decrements to 0, it transmits its pending frame on a randomly selected RU (RU4 in this case).